Do you want to save money on heating your home this winter? A gas fireplace fills your home with warmth and comfort during long winter months while lowering your furnace’s operating costs. NRG Essentials proudly offers a selection of the highest quality gas fireplaces, gas fireplace inserts, and gas stoves manufactured by Continental Fireplaces so you can choose the perfect model for your home. 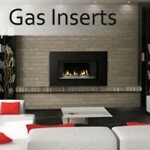 What are the benefits of gas fireplaces, inserts, and stoves? To discover more about our products, click on one of the links below to explore our selection. 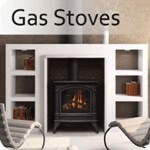 We offer direct and natural vent gas fireplaces, gas fireplace inserts, and gas stoves. Our models have great efficiency and are high quality so you can rely on your fireplace to heat your home and help you save for years to come. 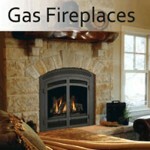 Does your gas fireplace need service or cleaning? All of our technicians at NRG Essentials are trained and qualified to service and clean any make or model of gas fireplaces, gas fireplace inserts, and gas stoves. Regular maintenance is essential in order to keep the unit working efficiently, but also ensures the safety of you, your family, and your home. NRG Essentials offers plans for yearly fireplace maintenance and cleaning, and when you purchase our protection plan, we give you the annual maintenance and cleaning at a reduced cost. Call us today and discover how you can save on your heating repair and heating service costs this winter. Call us today to speak with a Home Comfort Advisor and discover your fireplace today. Call NRG Essentials for your FREE estimate today. We are proud to announce the launch of our new website created by local website. . . Came across NRG Essentials when my home furnace gave up one cold winter day. A couple calls and a new furnace was on its way. A crew of great guys installed the new furnace and had us up and running the next day. We had two additional furnaces and air conditioning units installed in other housing. . .